Keep nights out with friends from busting your budget as you learn how to save money going out to dinner. So, you want to save money going out to dinner? Retail stores aren’t alone in the consumer pinch felt as people migrate to home-based lifestyles. People are staying home to watch Netflix and snuggle on the couch, not go to the theater. Friends and families often get together for home-cooked meals. The allure of the restaurant isn’t as powerful as in the past, forcing restaurants to pull out the stops. This includes offering their patrons some delicious discounts. Deals are available online as well through local shopping sites, like Groupon and LivingSocial. Discount coupons are also available through Restaurant.com for eateries across the nation. One caveat? These gift certificates are a bit different, as you can only use one per visit and they aren’t good for the cost of your whole meal. For instance, you might find a $50 gift card for $20, but your bill has to total $150 or more to put it to use. Playing classical music has been shown to make patrons feel wealthier, leading to more expensive purchases. Removing dollar signs from menus to distract you from focusing on the bottom line. Listing outrageous prices for specialty dishes to make just-slightly overpriced ones seem like more of a bargain. Using fonts, graphics and menu placement to draw attention to pricier items. The best deals are typically found in the bottom-left of menu pages. Descriptive language encourages sales, so it’s helpful to focus on ingredients and leave the flowery verbiage out. 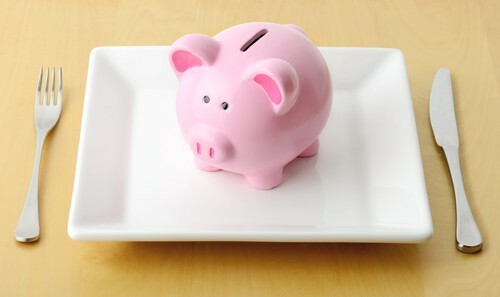 Half-portions make you feel like you’re saving money, but they are almost always more expensive per serving than their full-size counterparts. If you’re out with someone who’d like to try the same dish, ask your server if you can have a full-size order split between you instead. Some of the tricks restaurants use to get people in the door can work in your favor. Atlanta Parent maintains a list of restaurants where kids can eat free, but parents aren’t the only ones who can save. Seniors, members of the military and civil servants also rank right at the top. Birthday discounts are often available too, as well as special prices or freebie offers for patrons who sign up for an email newsletter. If a restaurant has a bar, check with the bartender. Many places have Happy Hour specials where drinks and appetizers are a fraction of the price. Researching restaurants goes a long way to save money when eating out. GrubHub, Yelp and similar sites give you an idea of the costs before you go. You might even find the menu listed with prices. Of course, finding local restaurants on Facebook, Instagram, and other social media networks is also a good idea. Not only will you see the food they serve and get a feeling for other patrons’ experiences, but you will likely find out about special deals. Eating out is an essential part of being social, but it can also cut into your monthly budget. Save a bundle by taking a few minutes to plan your night out. If you’re working on learning how to spend less money on how to save money going out to dinner, an auto pawn could help. Call your nearest Title Tree location for help now.